Two releases hit the shelves this week. 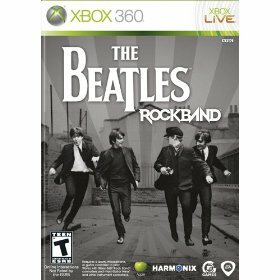 The first is a little game featuring some indie band called The Beatles, coming in various packages, with premium instruments, standard instruments, and even without instruments at all. Of course, individual guitars are available too. The second release is the Game of the Year edition of popular co-op title LittleBigPlanet. This edition has lots of previous DLC content included, and also a dozen custom levels made by fans. Plenty of good co-op action out there this week!